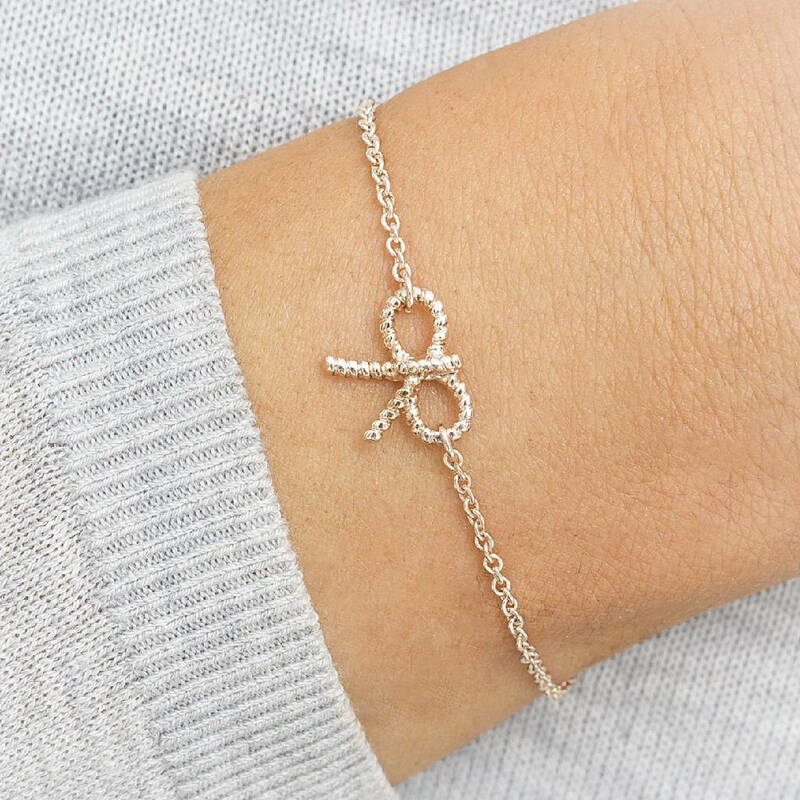 The Adelia is a beautiful silver beaded bracelet with a gorgeous silver bow, perfect for bridesmaids and flower girls for your special day. 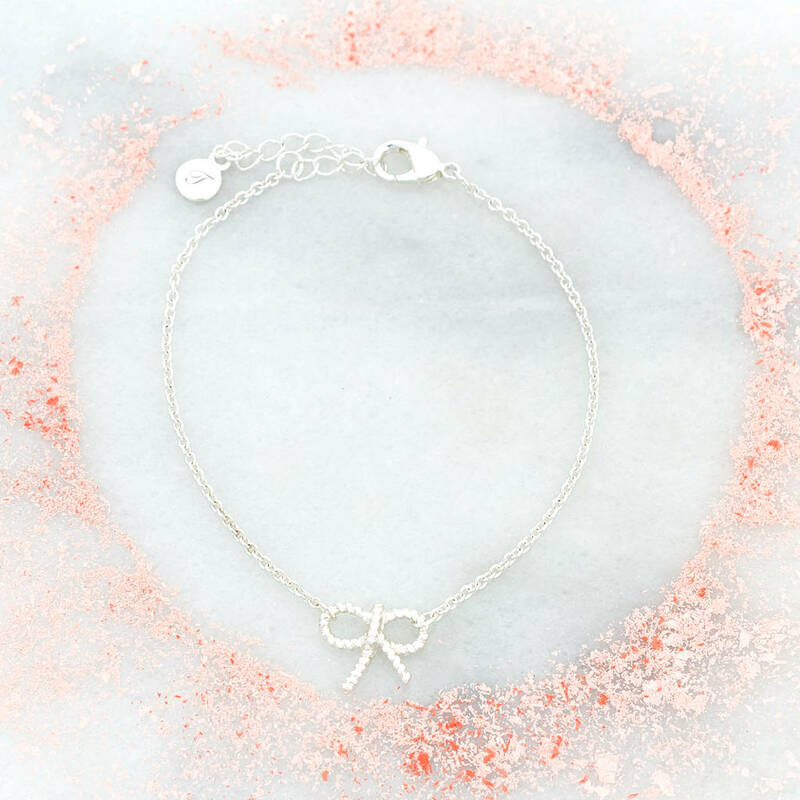 You can choose from silver or a beautiful light rose gold for your bracelet. 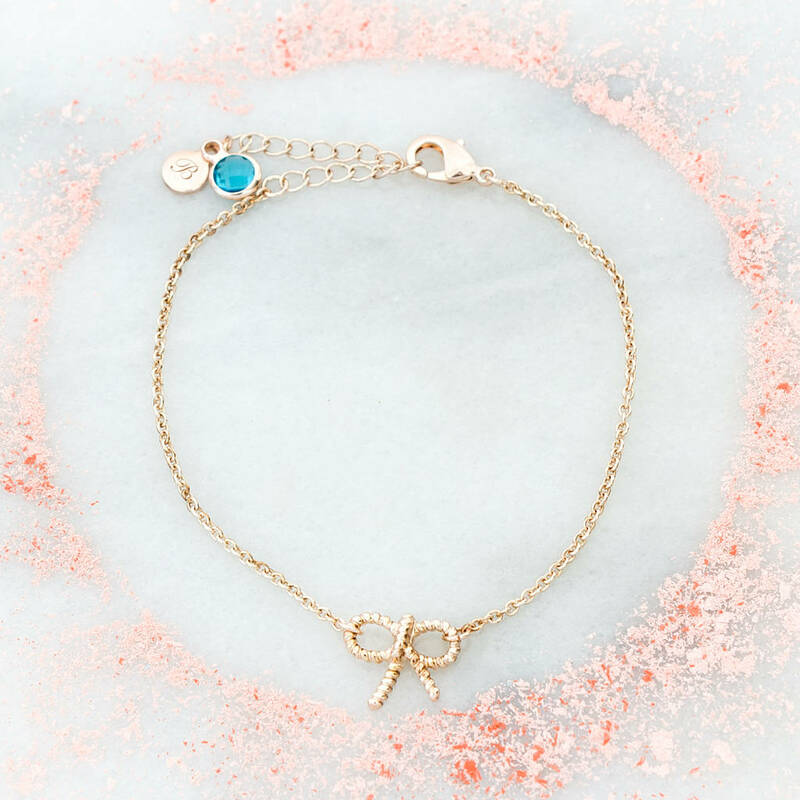 Your bracelet can be totally personalised with a selection of charms. 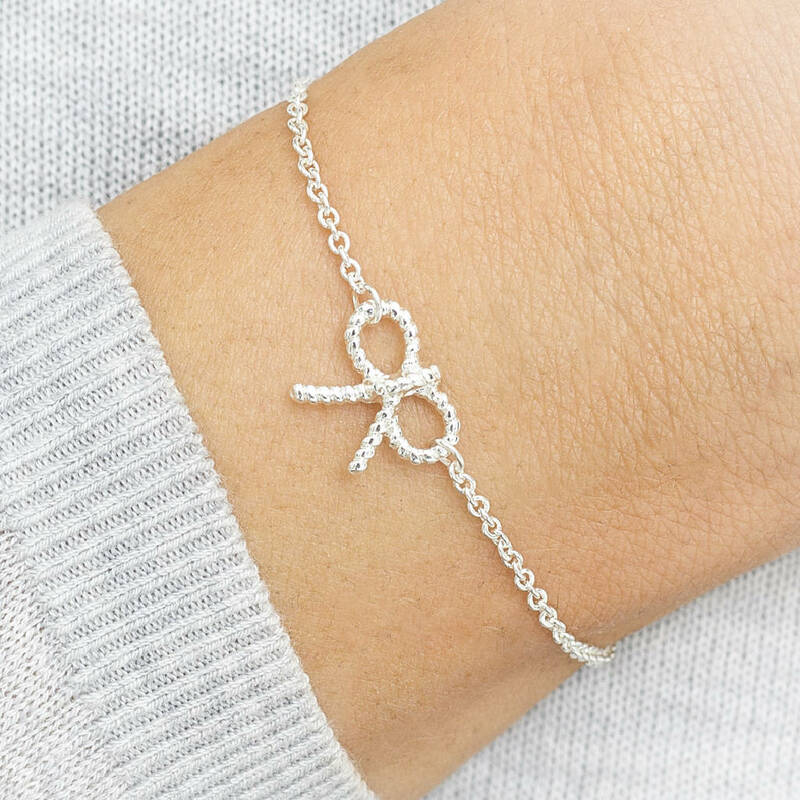 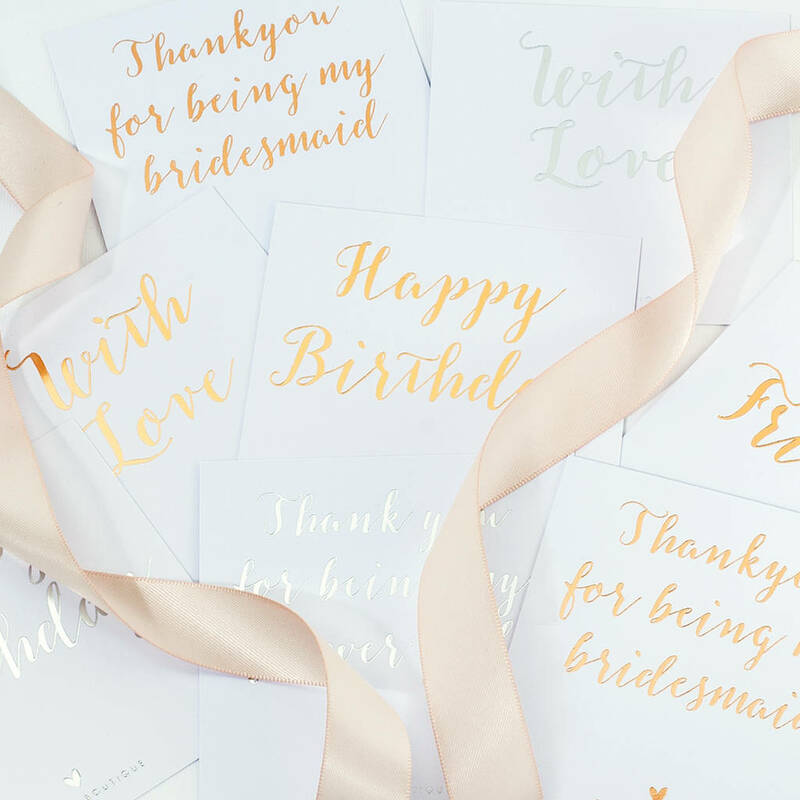 Choose an engraved plated word charm and a gorgeous selection of shaped charms to make your gift totally unique to you.